An elegant and luxurious stay at a pocket-friendly price. To get away from the daily hardworking routine, Hotel Silver Palm is suited to meet the basic comforts of home at a pocket-friendly price. Located in the vicinity of Zirakpur, the elegant property is furnished to provide maximum comfort. 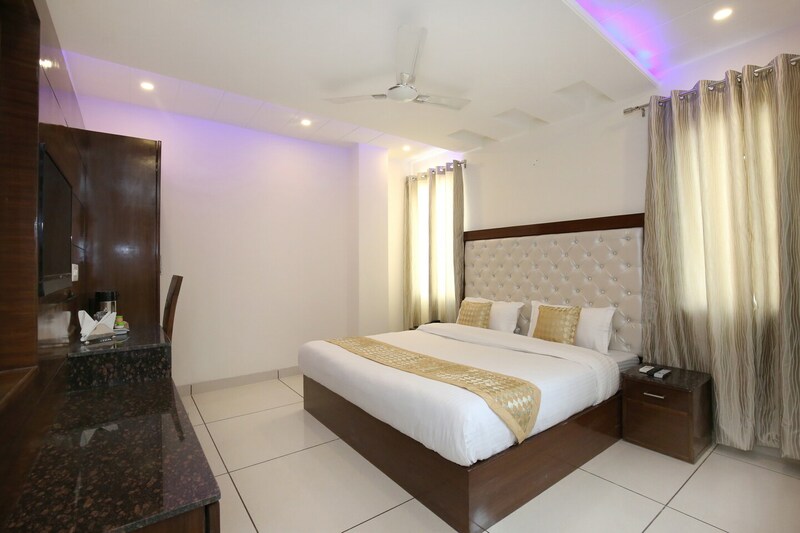 Rooms are spacious with a warm ambience and have modern furnishings, well-lit decorated ceiling, and packed with amenities. Guests can also avail the free wifi to stay connected, Card payment and laundry service. Cactus Garden, The Fort Ramgarh, and Mansa Devi Temple, and various famous restaurants are in close proximity of the hotel.